NOTE: A more detailed and up-to-date look at MB’s Laserbeak is now also available and has been published in post number 104. Wow! 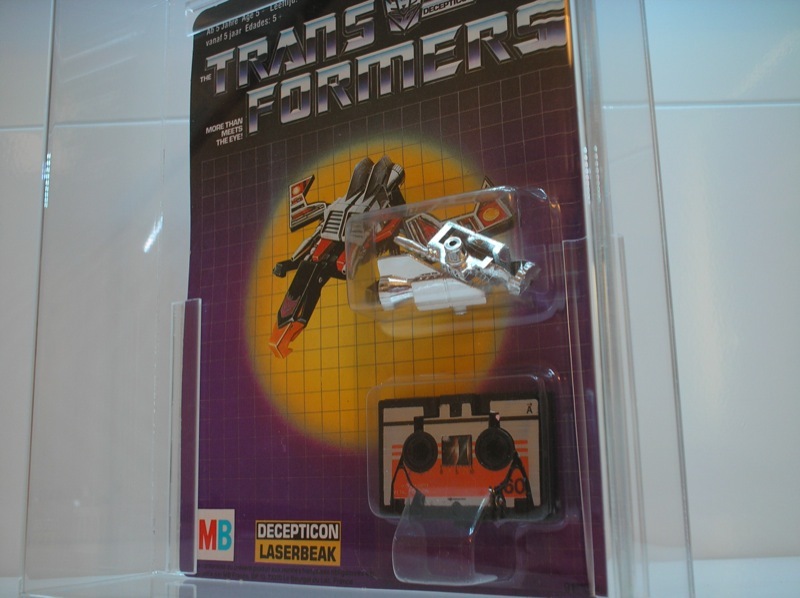 This is definitely one of the coolest items in my collection of MB Transformers. 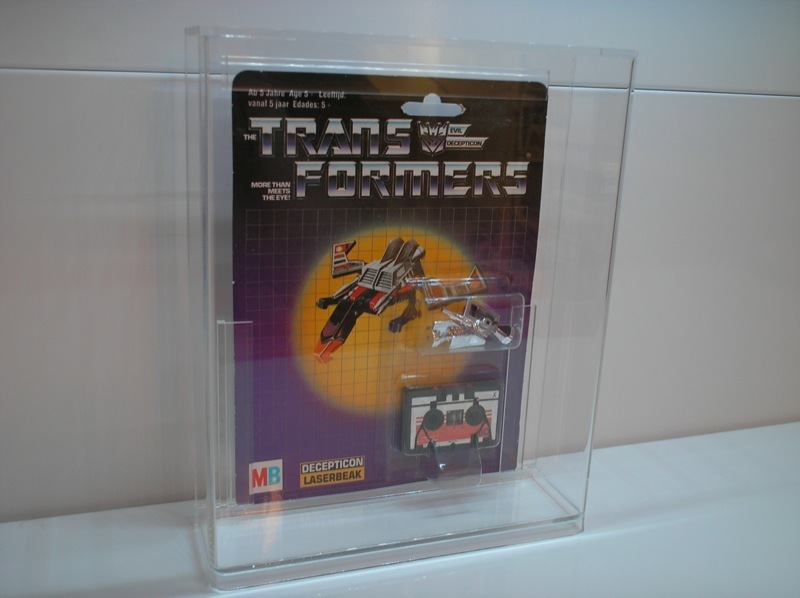 It’s a MOSC (mint-on-sealed-card) Laserbeak. 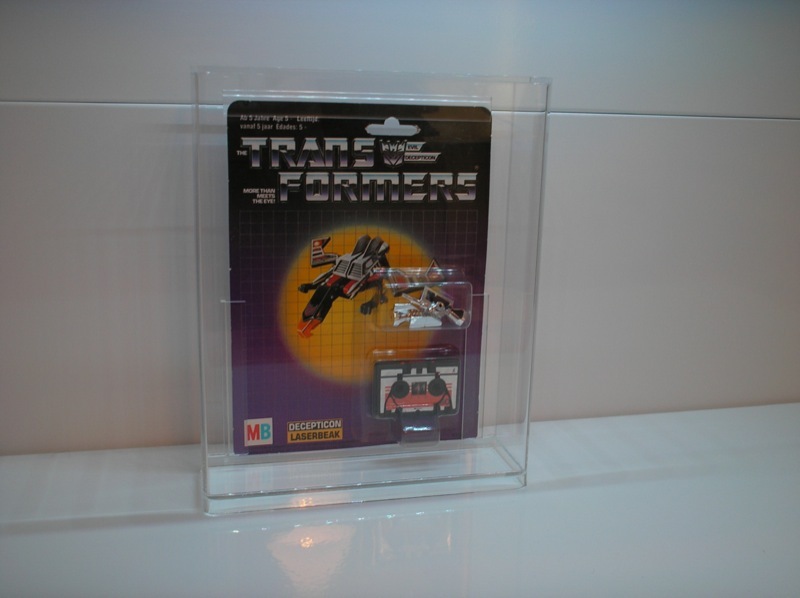 The Transformers releases by MB in Europe are known for their packaging variations and here’s a great example. 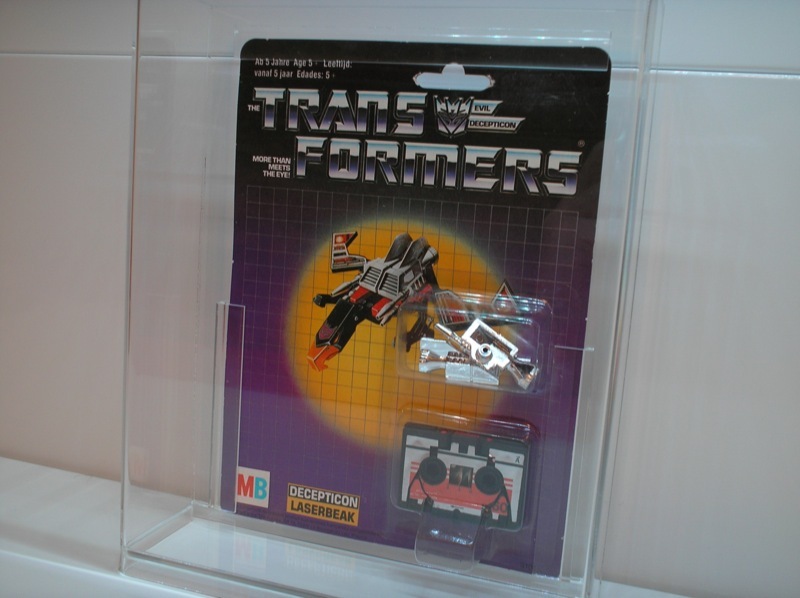 Laserbeak is, ofcourse, one of Soundwave’s cassettes and in the U.S. all cassettes were sold as double packs, meaning you would always find two cassettes on one card. Not so with MB’s cassette releases! 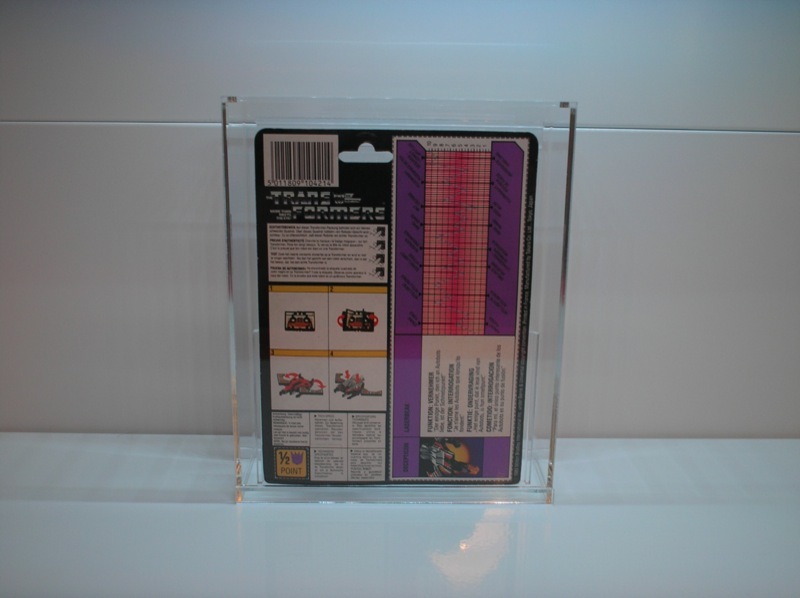 These were sold solo, with just a single cassette on the card. As far as I know of, there were just 2 cassettes released by MB. 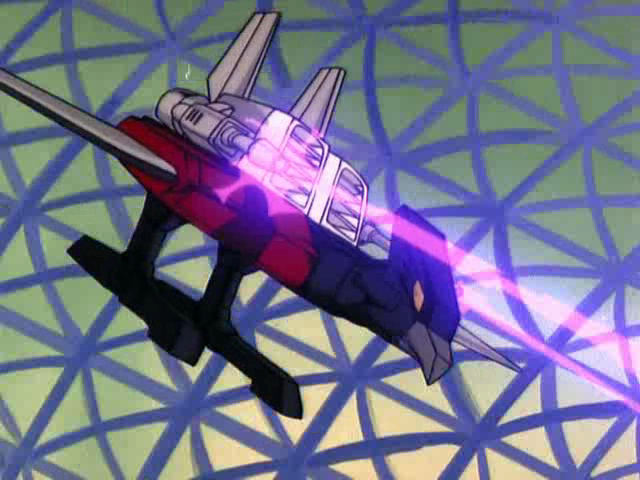 One being Ravage and the other Laserbeak. The Laserbeak in my collection is in particularly good shape! The card and the bubbles look great and there aren’t any major flaws to speak of. 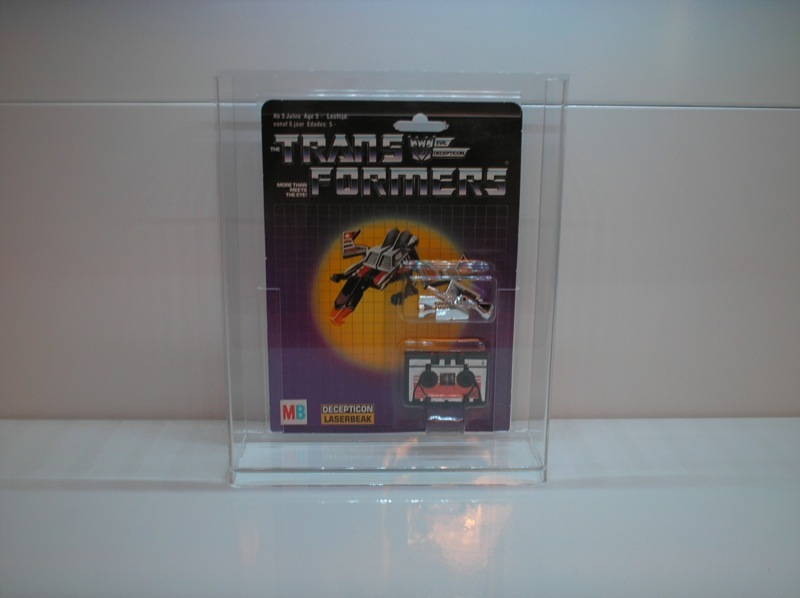 It was part of a set of carded MB Transformers (all MOSC) I bought from a seller, according to whom this was part of some German toy store’s old stock. Being just a single cassette release, the artwork on the card looks fantastic! 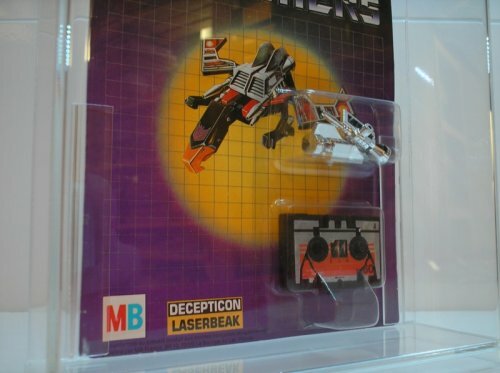 Laserbeak takes center stage on the card, not having to share the spotlight with fellow cassette Frenzy as is the case with the U.S. release. 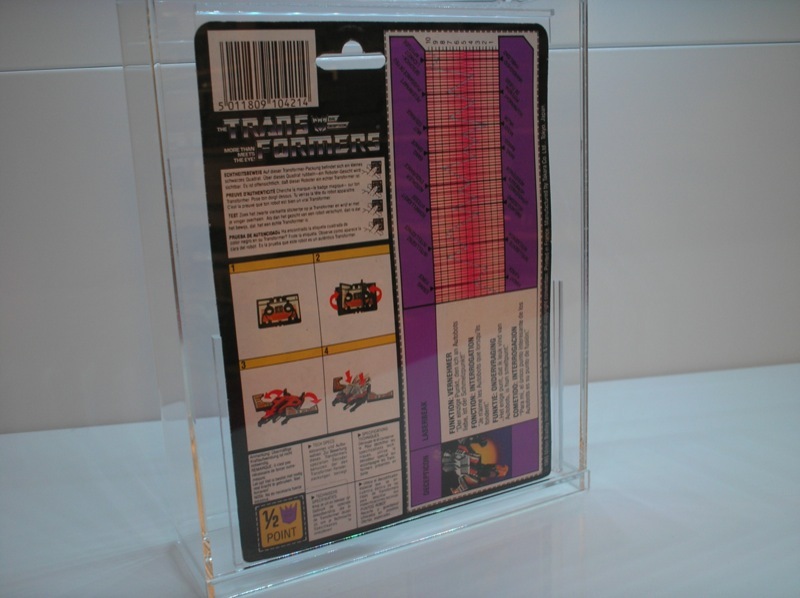 On the top left corner of the front of the card you can find the usual quad-lingual age notice found on MB releases, being German, French, Dutch and Spanish. At the bottom left you see the MB logo, which is slightly larger than the Hasbro logo would have been at that position. Moving to the back of the card we see the quad-lingual tech-specs taking up half of the card’s back. The copyright notice underneath says “(c) 1985 Milton Bradley International, Inc. under Berne & Universal copyright convention. Printed in France. 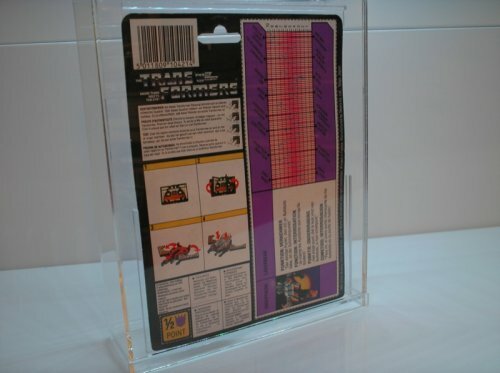 Manufactured by Takara Co. Ltd., Tokyo, Japan.” The other half of the back is taken up with quad-lingual rub sign instructions, half a Transformers point, tech-spec instructions, Transformation instruction and a barcode. 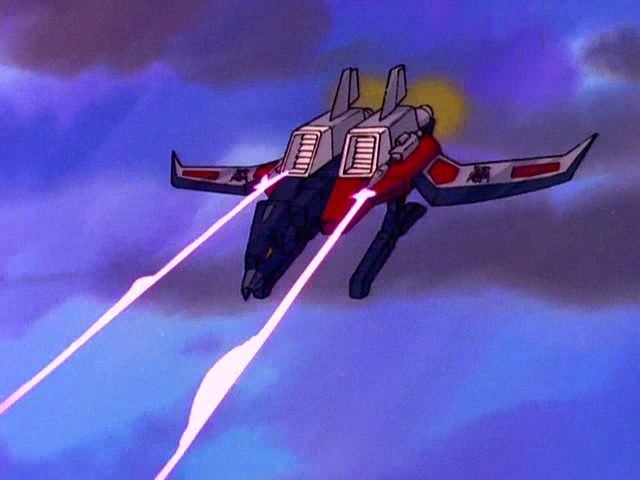 Love or loathe him, but Laserbeak featured prominently in Sunbow’s animated series of Transformers. He was regularly dispatched on reconnaissance and spy missions to secretly observe the Autobots and is one of Megatron’s favourite and most respected Decepticons. Here are some screen caps from the cartoon. Great article on Laserbeak. I collect MBs as well. 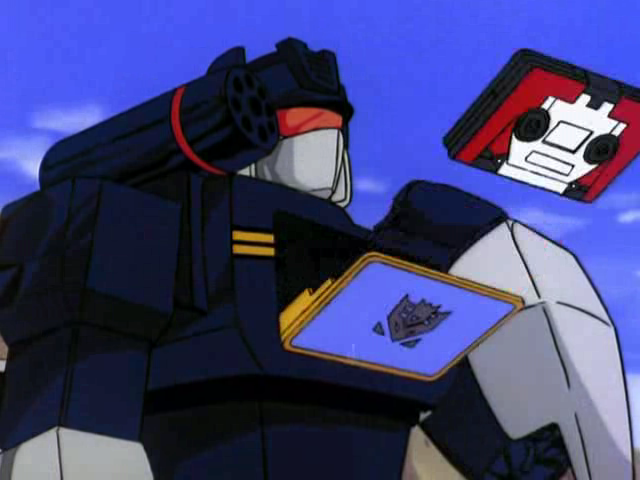 Do you happen to have Ravage as well? A guy I dated 4 years ago gave me a mixtape, which was rellay sweet :) shame it had crap music on it. It’s very strange to thing that there are people who have never used a cassette. Or ‘accidentally’ recorded over recorded bible passages. im trying to find the artist who did the box art of g1 ravage ?